If you're a regular consumer of new music, you're probably be wondering why we're claiming East India Youth is "new". But with East India Youth's official debut release not out till later this month, I think we can stand our ground. The 'Hostel' EP showcases the eclectic experimental sound of East India Youth, mixing electronica and prog in a surprisingly romantic manner. William Doyle is the man behind East India Youth, and former frontman of a Southampton outfit called Doyle & The Fourfathers - a band I entirely missed during their three year existence. Judging from their name, it's probably fair to say that Doyle was the driving force of that band and he is now realising a fantastic new musical vision. After Doyle's demo album 'Total Strife Forever' (8/10 for the Foals-inspired wordplay) comes the 'Hostel' EP. Not simply his official debut but also the first record to come out on The Quietus Phonographic Corporation, a spin-off from the music website. Listen below to the absorbing 'Heaven, How Long', as well as other tracks from a recent BBC live session - including another EP track, 'Looking For Someone'. Download the 'Hostel' EP from amazon.co.uk or purchase on 12" vinyl at Piccadilly Records. 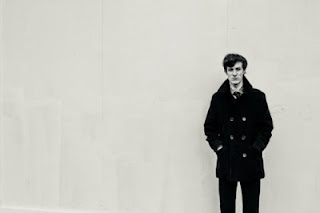 Find more info at facebook.com/eastindiayouth.